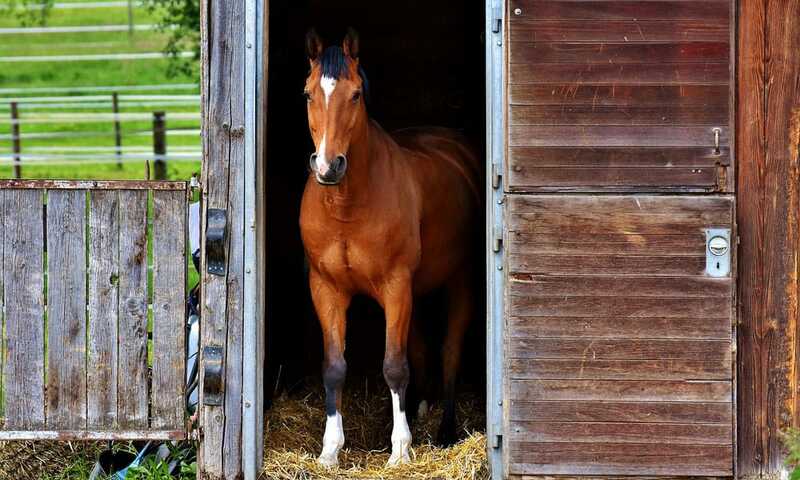 Choosing the right flooring for your horse's stall can make a big difference! Your horse’s comfort is probably one of your top priorities. Rubber stall mats not only help to make the time a horse spends indoors more comfortable, but they also have some surprising health benefits compared to alternatives. Once you use stall mats, you’re likely to never go back to dirt, concrete, sand, or clay. 1. Level Ground: When used with the right sub-floor, rubber mats will remain level and even. That means no dips or holes from pawing or those that circle in their stalls. 2. Slip-Resistant: Certain floors can be very slick when wet with urine. Rubber flooring will offer good traction. 3. Cleaner: You can expect less odor and nearly no mildew or mold. Urine and manure have a way of penetrating dirt floors. Rubber mats can easily be swept or hosed clean and will dry out quicker. Stalls can be completely mucked. 4. Padding: The thick rubber is kinder on your horse’s joints. The lower legs and hooves will be protected as the mat acts as a shock absorber. Perfect for those recovering from injuries. 5. Insulation: Especially helpful in the winter, mats provide an extra level of warm. Some bases like concrete and clay can get extremely cold. Yes, stalls can be more expensive, but the benefits far outweigh the costs. Your horse will be more comfortable and healthier in a stall with properly installed rubber mats.